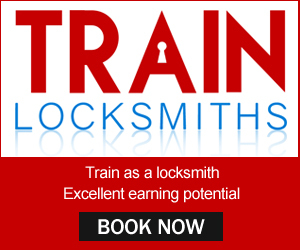 Locksmiths and Security is a blog dedicated to the locksmith and security industry. 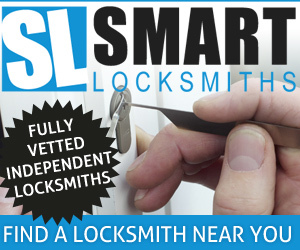 We promote independent, local locksmiths from all over the UK. When people think about England they don’t associate the country with any isolated areas, not like other countries in the United Kingdom like Wales, Scotland and Northern Ireland which have rather a few isolated and hard to reach areas such as the Scottish Highlands, Snowdonia National Park in Wales and a large parts of Northern Ireland. When people imagine England they envision built up metropolitan areas large busy cities like London, Manchester, Birmingham, Leeds, but England has quite a few remote spots particularly in the North of the country, places such as The Peak District, The Yorkshire Dales and The Lake District are all very remote and stunning areas free from the jostle and bustle of the big cities. For this article we’ll focus on one of these stunning isolated places, The Lake District, Cumbria. Visiting The Lake District can be a beautiful experience, its a well-liked day trip and holiday destination with beautiful valley’s, awe inspiring lakes, woodlands and passes like Lake Windermere, Coniston Water, Honister Pass and breathtaking mountains such as Scafell Pike and Helvellyn popular with climbers and mountain bikers but about the people who live here? I’ve never met anyone who didn’t love living in this spectacular place however when it comes to calling out a 24 hour emergency tradesman such as a Locksmith the experience sometimes isn’t great. There are countless local locksmiths in England, each one focusing on their own little patch, inner cities typically have a large number of local locksmiths covering them and touting for work, remember inner cities have more crime which is where a lot of locksmith work comes from, although regardless of where you live there is always that one time you lose your house keys or lock your car with the keys in the ignition, yes we have all done that, it’s these situations where your need to call on the services on and emergency locksmith but in remote areas finding one is easier said than done. In the past, let’s say 15 or 20 years ago people turned to their local phone book or yellow pages – remember those – and choose a local locksmith, someone living in the lakes would choose a Lancaster locksmith, Lancaster being the nearest large city and hope they would come out to them, nowadays people turn to the internet and to Google and do a search instead, searching for emergency locksmith or 24 hour call out locksmiths and this used to work well as the results showed a number local locksmiths and people in these remote areas will typically choose the nearest company, however in recent years a new type of locksmith company has been created, the national locksmith call centre and these companies seem to be dominating the local search results and pushing local, independent companies down the results. A local, independent locksmith has a limited advertising budget, in the past before the national companies where created being local was enough to appear high in the results and the local locksmith got work and the local customer got a great service and was happy, nowadays the national companies are getting more work and leaving the customer frustrated and overcharged, here’s with. The national locksmith companies are not locksmiths at all they are simple call centres that local locksmiths join and pay and annual fee and a percentage of all work the call centre sends them, because or this the call centre has a somewhat large advertising budget so promotes themselves online for every single area in the country, the main problem is that they don’t have locksmith in every area of the country so will send the nearest they have, and when you live in a remote area like The Lake District this can be someone miles and hours away leaving the customer who called because they had an emergency waiting for longer that they expected, then when the bill comes they find out that it is a lot more than they expected too due to the way the call centre operates, typically 4 or 5 times what it would have cost if you had called a genuine, local, independent locksmith. Unfortunately more and more people are reporting this sort of thing online, but the problem it that even those the national locksmith companies have lots of bad feedback the person in teh remote area looking for an emergency locksmith doesn’t see it because as a national company you won’t find them on local tradesmen’s review sites and they don’t have a local google listing that can be reviewed either. When searching for a local independent locksmith make certain that they are in fact local and independent, a good idea is to choose a company that shows up the map results as these can only be verified local businesses, plus you’ll be able to see their feedback too.. If you do call a company up and are still not sure if they are local, ask them, ask them if they are local independent locksmith and ask where they are based. 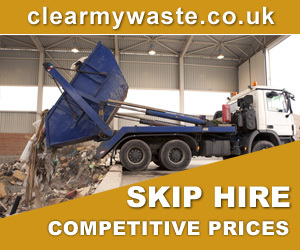 Never assume they are local because they have a local telephone number as you can buy phone numbers these days with any area code for a couple of phone a month. If this article stops just a few people from being ripped of by a national locksmith call centre then i’ll be happy.. The Locksmith and Security Blog is dedicated to news and articles related to the UK locksmith and security industry. 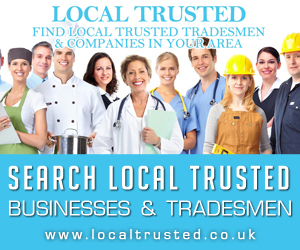 We also promote and support independent, local locksmiths from all over the UK. 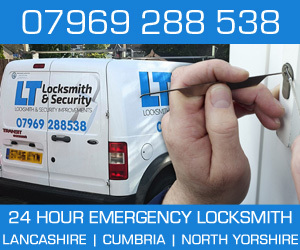 Locksmith Crewe on Should I use an Independent Locksmith or a National Locksmith Company? Locksmith Bideford on Should I use an Independent Locksmith or a National Locksmith Company?